And we're off! All packed and ready for our 2 day travel day. We left (not so) sunny Cumbria around 12.30pm and travelled down to Manchester airport. We made pretty good time considering our flight to Heathrow isn't until 8.05pm. We decided to stop off at charnock Richard services about 45 mins from Manchester airport for some lunch. 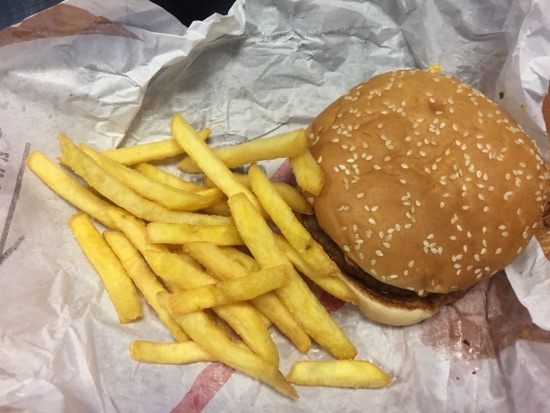 DH headed to Burger King and got a bacon double cheeseburger meal, this we £7.89, always expensive at services but he really enjoyed it, but he's a Burger King fan! 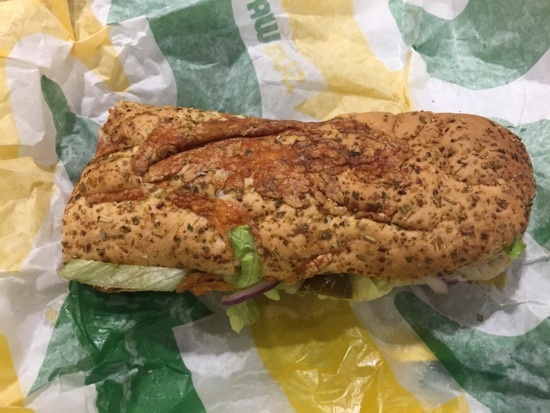 I saved mine until we got to the airport but I had an Italian BMT, cheese and toasted with lettuce, red onion and jalapeños with chipotle sauce, this was as good as usual, I love how subways always tastes the same wherever you get it. This was £3.85. We arrived at Manchester just before 4 and checked in. I was pleasantly surprised that they checked our luggage straight through to Miami for us, so no need to collect it in Heathrow tonight. We've got our boarding passes for tomorrow too, this allows us more time in the morning to have breakfast and chill out in the premier inn, absolute bonus! Instead we ended up in costa. We each got a ham and cheese toaster and a bottle of Diet Pepsi to share. These were lovely, they were £3.95 each so quite expensive but we really enjoyed them and they'll put us on until Heathrow at least, if not until morning. Total cost was £13.40. Our flight was relatively short, 34 minutes flight time but we had to hold for a while as Heathrow was busy busy busy. When we landed we were held on the plane for a little while until the buses came to drive us to the terminal. 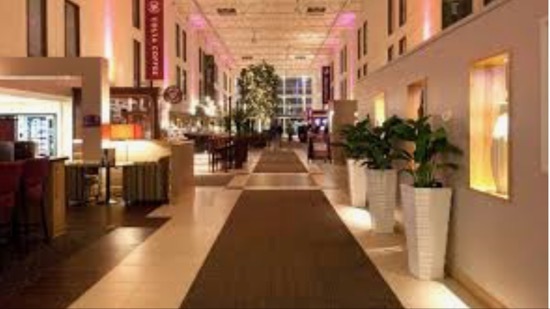 It was great not having to collect any luggage and we walked straight out and grabbed a cab to premier inn. The taxi cost us £18 for the relatively short journey but was worth it for not having to mess around with shuttle buses. We went to check in and they couldn't find our reservation. Turns out there are 2 premier inns on bath road and inevitably we were at the wrong one. The amazing staff couldn't have been more helpful, they insisted on ringing us a taxi to take us to the one 2 and a half miles down the road and it was on them. They were all so friendly and chatted with DD while we waited and gave her some sweets. absolutely fantastic service and we were sad to not be staying there! We arrived at our intended hotel just before 10pm and were greeted by yet another fantastic member of premier inn staff, Affi. She was beyond helpful checking us in and explaining the shuttles back to the airport for the morning and gave DD a sticker declaring her a &lsquo;VIP' and a goody bag. 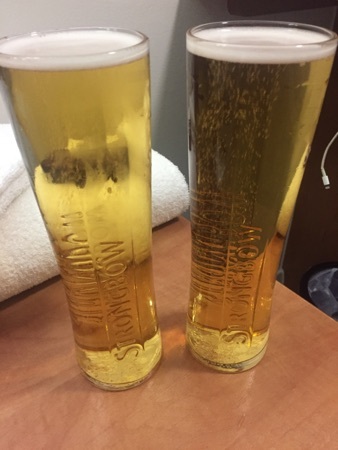 We got up to our room and decided to have a drink before bed so DH went off down to the bar and got us a pint of strongbow each. This was £8 for the two which I thought was cheap for London/airport/hotel prices. I woke up at 6.30am and couldn't get back to sleep, DH and DD finally woke around 8.15am and we headed down for breakfast shortly after. 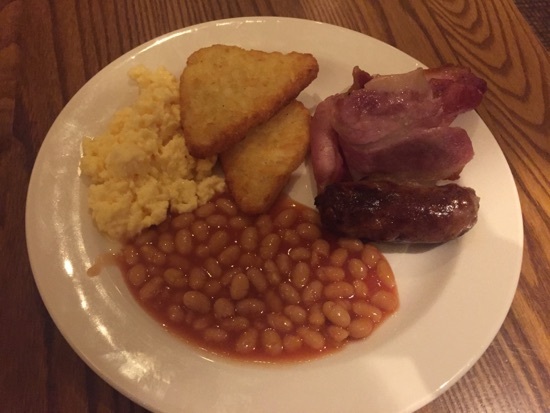 We love the premier inn breakfasts, £10.50 for adults and kids eat free. First up we all got a cooked plate including beans, sausage, scrambled egg, hash brown, bacon. The food was all hot and kept well stocked. 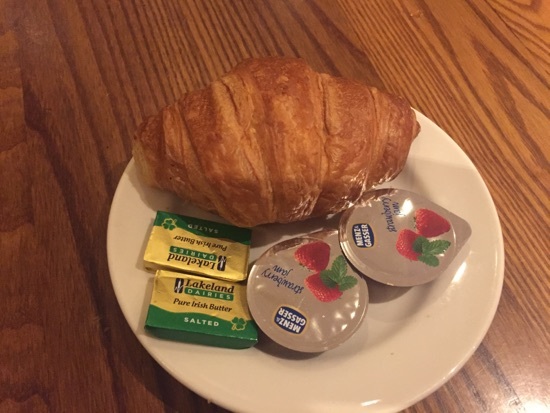 There's hot drinks and juices available to drink, after the hot food I got a croissant with butter and jam. We didn't eat as much as we expected we would and we were all pretty full after the plate of hot food. After breakfast we went back up to our room and got ourselves ready to head to the airport. 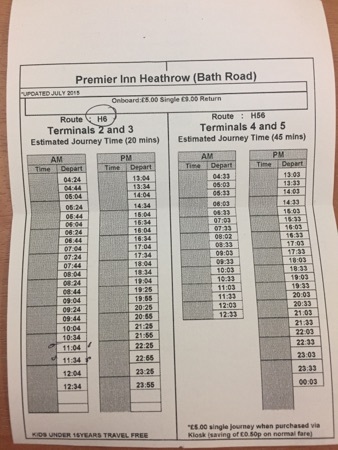 The shuttle bus was due at 10.34am and cost us £5 each for adults and DD was free, it took around 15 minutes to reach terminal 3. When we arrived we headed straight through security which was pretty quick, we were pleasantly surprised after hearing how busy Heathrow was expected to be this weekend, took about 5 minutes to get through which was great. We decided to hit duty free as I was looking to get a new pair of sunglasses to replace my 10 year old ones and a bottle of perfume as I've pretty much used all of my usual ones. 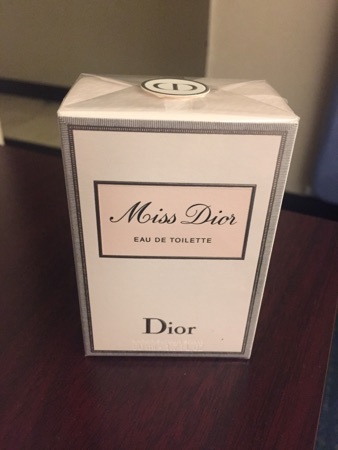 I couldn't decide which perfume to get after smelling so many they all kinda blend into one, so I settled for a bottle of my usual miss Dior (£46). Next up was a trip to sunglasses hut, I've been looking for a new pair of sunglasses since our last trip, I just don't think I suit any that I try on. The sales person was trying to persuade me into a Tiffany pair at £400, hahaha no chance! I eventually found a pair of ray bans that I liked and that actually suited me, result! DH headed into super dry to get some shorts and sandals and after a visit to pret for a few sandwiches for the flight we headed down to gate 3 for our flight to Miami. We boarded around quarter to 2 and were taxiing to the runway shortly after 10 past 2. 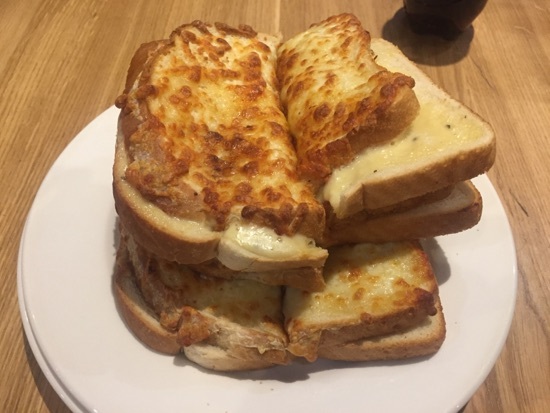 Dd had a ham and cheese sandwich from pret, she didn't like the mustard spread but after removing one piece of bread and folding the sandwich in half that problem was solved and she enjoyed it. 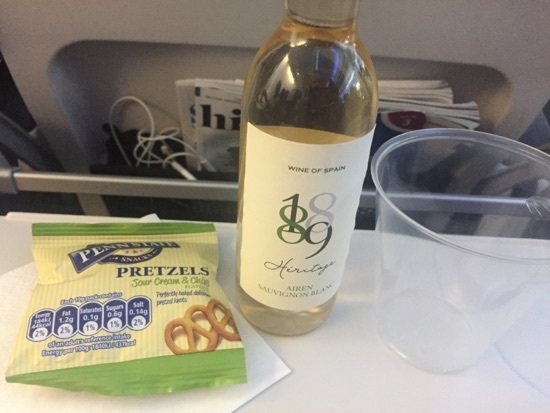 We took off around 2.20pm they came round with a drinks service and bag of pretzels, I had a white wine and DH had an Amstel beer. 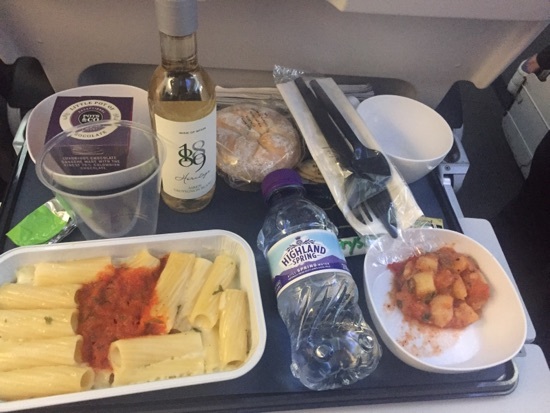 Lunch was served about an hour and a half into the flight. The options were chicken and wedges or cheese and tomato pasta. 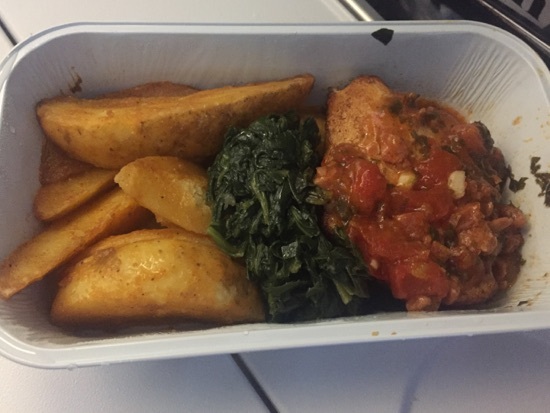 DH has the chicken and he said it was really pretty good for plane food. Dd and I had the pasta and I thought it was really nice, it tasted really buttery and there was plenty of sauce with it. The potato salad with it wasn't particularly nice but edible and the cheese and crackers were alright. The little pot of chocolate that came with tea was really good but was quite rich. 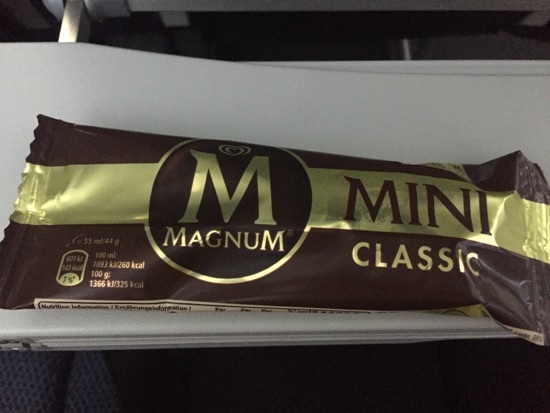 Halfway through the flight they came round with a mini magnum ice cream which was a welcome snack and about an hour later they offered a choice of juice or water. 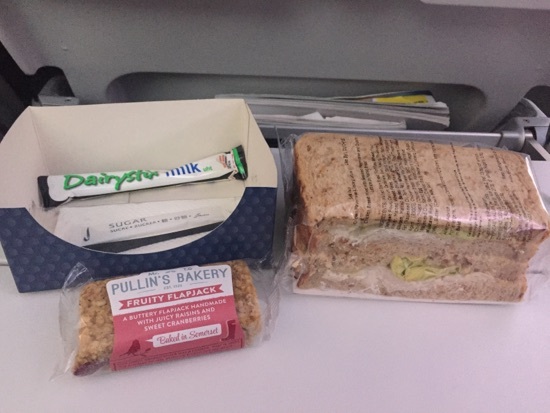 About an hour and a half before we landed we were served a sandwich and flapjack. 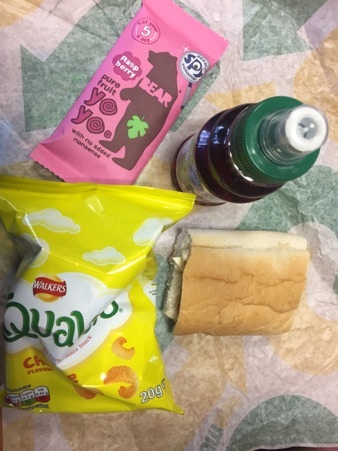 This was chicken mayonnaise and the sandwich was pretty good, I didn't eat the flapjack as I don't like dried fruit but DH had all 3 of ours and liked it. We had a coke with this. 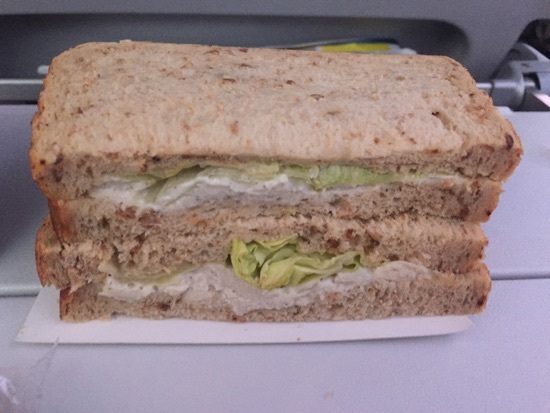 Here's a better picture of the sandwich, there was plenty of filling in them. We landed pretty much on time around 6.30pm Miami time. Unfortunately the moment the wheels hit the tarmac DD projectile vomited everywhere. Cue a very quick change of clothes and rushed clean up operation before disembarking. We were through immigration by 7.15pm and 2 of our cases came off about 10 mins later, unfortunately the other took ages! We were walking out with all our luggage by 7.40 and headed up to the 2nd floor to check in to the Miami airport hotel. Check in was really quick and we were soon on our way up to the 5th floor, we've got a view of the runway which is pretty cool. 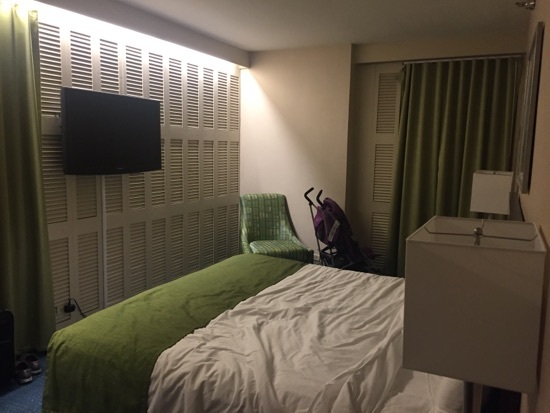 The room is very basic and small with a king bed but will do for a nights sleep as we expect to be awake at the crack of dawn and will get ready and head up to Orlando. We went down to Hudson news in the terminal to grab a few drinks and snacks for tonight. 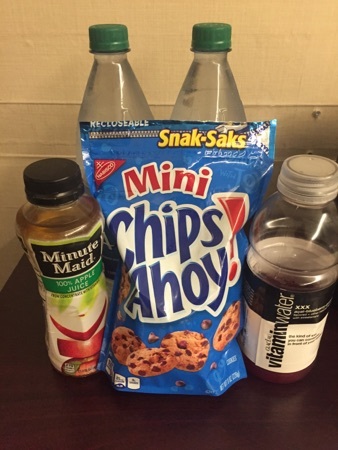 2 bottles of water, an apple juice, vitamin water and a bag of chips ahoy, this came to $21 but needs must. Sounds a good travel day so far. 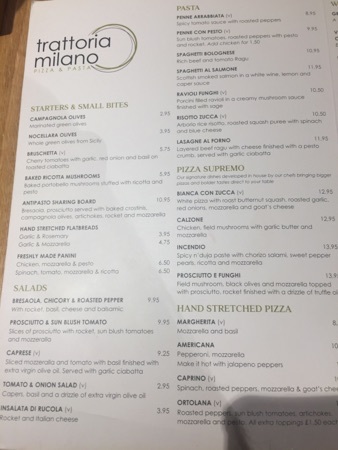 Shame about Trattoria Milano. It is our go to place when heading to Disney and service can be a bit dodgy but it’s nice to sit down and be served breakfast - nice start to the holiday. You should have given us a wave from Charnock services. We live probably 2 miles from it. 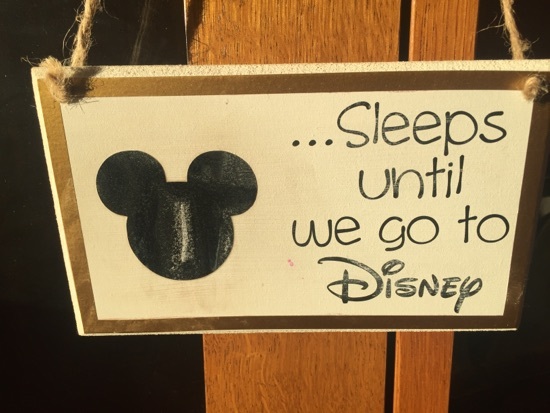 Somehow makes me even more envious that you were there and are now heading to ‘Mickey World’! Hope the rest of the journey goes well and you have a fab holiday. We always find the Premier Inn staff very helpful. Glad travel day 1 went well. Hope tomorrow is just as smooth. Have a great holiday. New Photo Added by missdopey - 1 Apr 18 1:57 AM. Journey sounds nice and straightforward- apart from the landing 濫 We had the same issue with my daughter when we landed back at Manchester last year. Hope your daughter feels better after a nights sleep. A good journey apart from the sickness on landing, I hope she is ok for your travel from Miami.